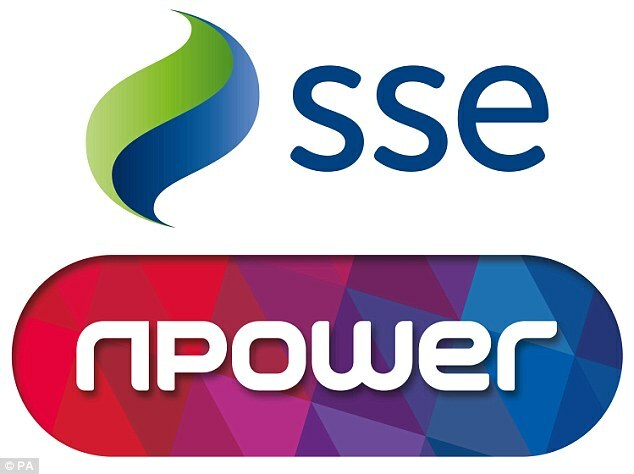 The UK competition watchdog has provisionally cleared a deal to merge energy suppliers Npower and SSE after finding it will not translate into more expensive deals for customers. The Competition Markets Authority said the merger between two of the ‘Big Six’ energy firms will not impact how they set their prices for standard variable tariffs – the most common and expensive tariffs – because the two firms are not ‘close rivals’ for these customers. If the deal, which was announced in November last year, goes ahead it would mean the so-called ‘Big Six’ would be reduced to the ‘Big Five’. A final decision will be made in October. The focus of the CMA’s investigation was on SVTs because it previously found that people who do not switch are usually on one of the large energy supplier’s STVs and pay higher prices. It therefore looked at whether the merger between SSE and Npower would change how large energy suppliers set these prices. But it found if SVT customers switch, they would generally change to a cheaper fixed tariff. And if people do switch, it would not tend to be between SSE and Npower, but instead another provider. Anne Lambert, chairwoman of the inquiry group at the CMA said: ‘We carefully scrutinised this deal, in particular how it would impact people who pay the more expensive standard variable prices. The regulator’s fears were further eased by high levels of customer switching – the highest in a decade – while it also found the proportion on SVTs has fallen. Under the proposed deal, the new company will be listed on the London Stock Exchange with SSE shareholders holding 65.6 per cent and Npower owner Innogy holding 34.4 per cent. SSE is Britain’s second biggest energy supplier and the merged group will serve around 11.5million customers. SSE boss Alistair Phillips-Davies welcomed the CMA’s provisional findings. He said: ‘The scale and pace of change in the Great Britain energy market continues to be significant and requires us to evolve to stay relevant, competitive and sustainable. Georgie Frost, consumer advocate from GoCompare, said: ‘The reality is that moving from a big six to a ‘big five’ won’t fundamentally change the competitive landscape for consumers, but it is an indicator of the huge upheaval we are likely to see in the market in the next few years.